The Ocurrencia flamenco trio is but one example of Calgary's steadily growing interest in flamenco music and dance. 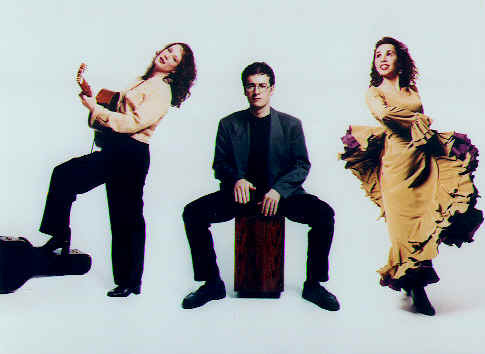 Ocurrencia's performances are distinguished by a strong sense of both traditional and contemporary approaches to the flamenco are form, and by the trio's eclectic range of musical sensibilities. Guitarist Holly Blazina's training in the accompaniment of flamenco singing and dancing is augmented b her extensive background in classical guitar performance. Annette Morcos is well versed not only in flamenco dance and song but also in the study of Middle Eastern singing. Percussionist Amir Amiri's intuitive sense of rhythm and his tasteful use of percussion are informed by his studies of Persian music, Indian Classical music, as well as his mastery of the dulcimer. Ocurrencia blends this diverse range of musical experience and a collective passion for authentic flamenco to produce music that is vibrant, spontaneous and highly evocative. 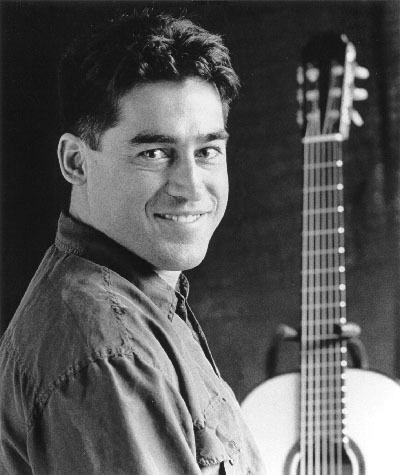 Canadian classical guitarist Alexander Dunn has performed to enthusiastic acclaim in Canada, the United States, New Zealand, Southeast Asia and Europe. In solo recital, concerto, and chamber music he is consistently praised for his musicality, effortless technique and rich sound. Recent orchestral concerts include the CBC Vancouver Orchestra, the Victoria Symphony, Malaga Sinfonia, and the New England Philharmonic. Chamber music performances include principal players from the Seattle Baroque Orchestra, Tafelmusik, Pacific Baroque Orchestra, the Lafayette Quartet, tenor Benjamin Butterfield, and guitarist Pepe Romero. He is an active proponent of modern works and a champion of lesser known masterworks. Mr. Dunn is a highly sought teacher throughout North America, conducting masterclasses at various universities and conservatories and adjudicating festivals on a regular basis. He is head of the guitar programs at the University of Victoria and the Victoria Conservatory of Music and is president of the Victoria Guitar Society.